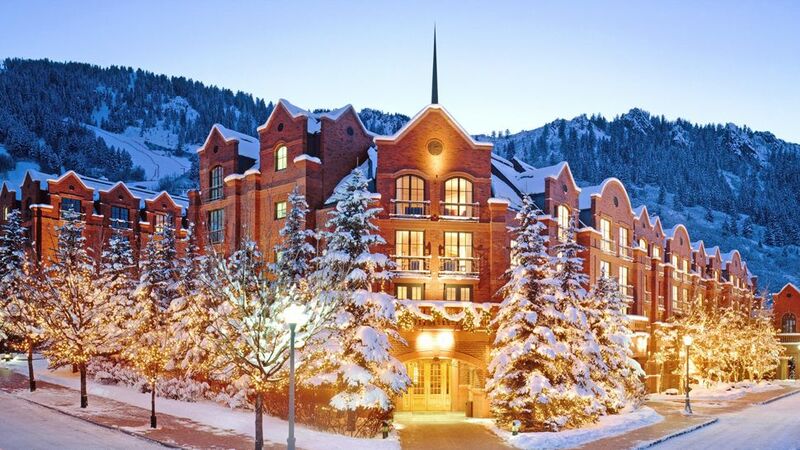 Ski pro or not, the St. Regis Aspen offers snow-capped views and high altitude scenery to lure even the most jaded winter traveler out of her cozy bed. I may not be hitting the black diamond slopes, but I do love indulging in fireside cocoa, taking in the mountain views and enjoying the rustic luxe lodge appeal of places covered in perfect white powder. Whether you're inclined to hit the slopes or not, there's a lot to be said for ski-inspired fashion. Let's start with the ultimate winter wardrobe staple: the black fur-trimmed puffer coat. Trust me here: you want to invest in the best quality available to you, as the warmth and the annual wear it provides will be well worth it. In my opinion, Moncler is the go-to brand for all things down-filled and snow bunny chic. But this year the source for my favorite winter coat surprised even me. Burberry. 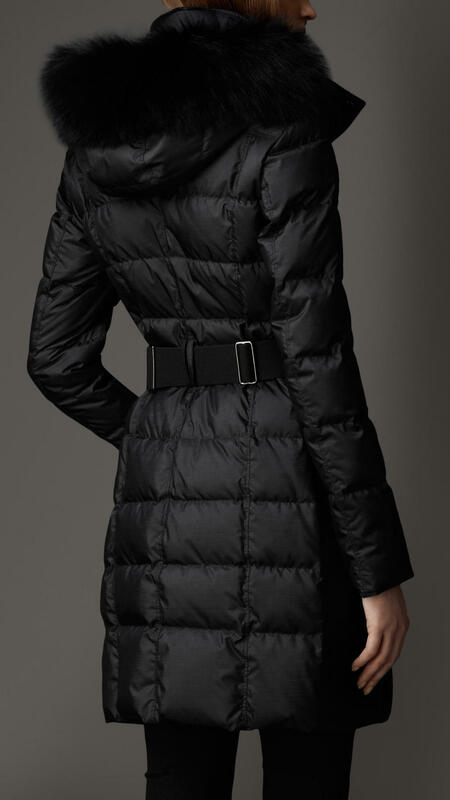 The maker of the world's most iconic trench also makes this absolutely perfect belted version of the puffer coat that does as much for your figure as it does for keeping you toasty & warm. Next, assuming you're in proximity to a ski lift, you'll need the usual cool climate accoutrements. A knitted beanie to keep your noggin warm. Well-designed ski pants in on trend colorblock for comfort and compliments from fellow downhillers. Warm shearling lined boots to save your precious toes from the cold. A thin thermal top for layering and wicking away moisture. Now... if, like me, you're not in driving distance of snow-capped mountains and the closest you'll be to a lodge hearth is the warmth of your own fireplace, these next pieces are for you. I personally love the Bond girl appeal of that certain Alpine chic look. Think: wrap around glasses and a fur-collared coat in the most yummy shade of cream. 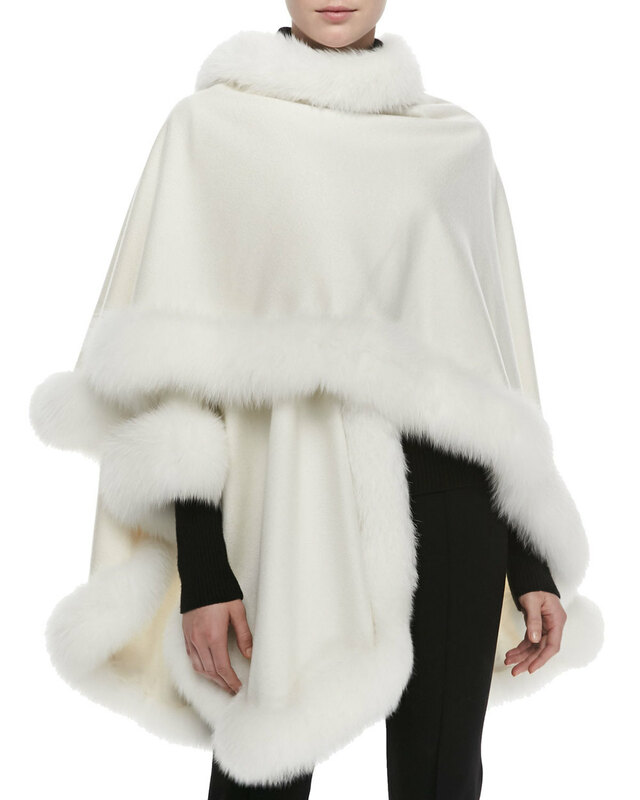 Add in to-die-for boots and you've achieved what I deem to be the epitome of snow bunny chic. And isn't that a look we all crave in winter? Top if off with my favorite hot cocoa, sugar cookies & you're all set for bundled up winter fun.